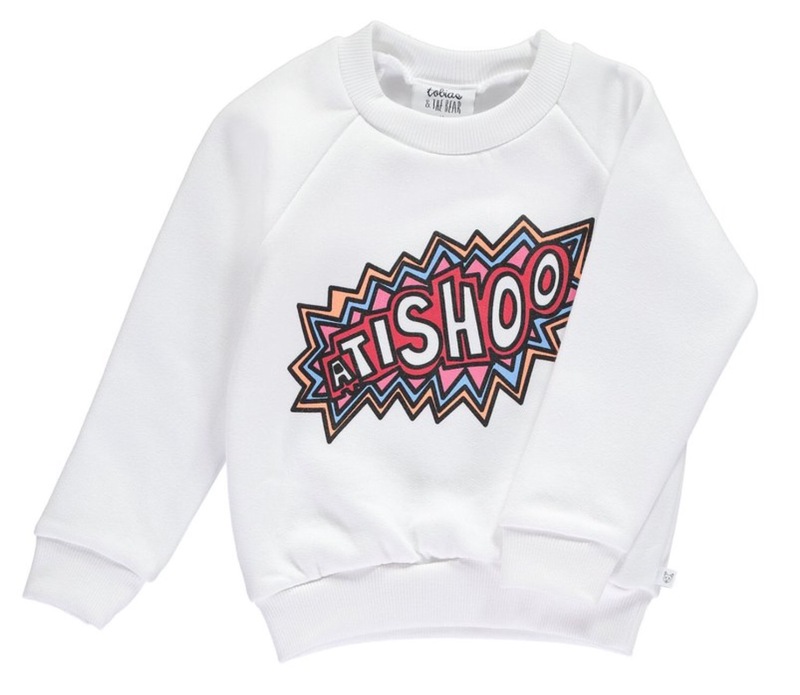 Our friends at Tobias and the Bear launched their eagerly anticipated Mr Men collection this week and we couldn’t wait to try on our ‘ Atishoo ‘ sweatshirt (image for the design features in the Mr Sneeze storybook ) which arrived for Barney. 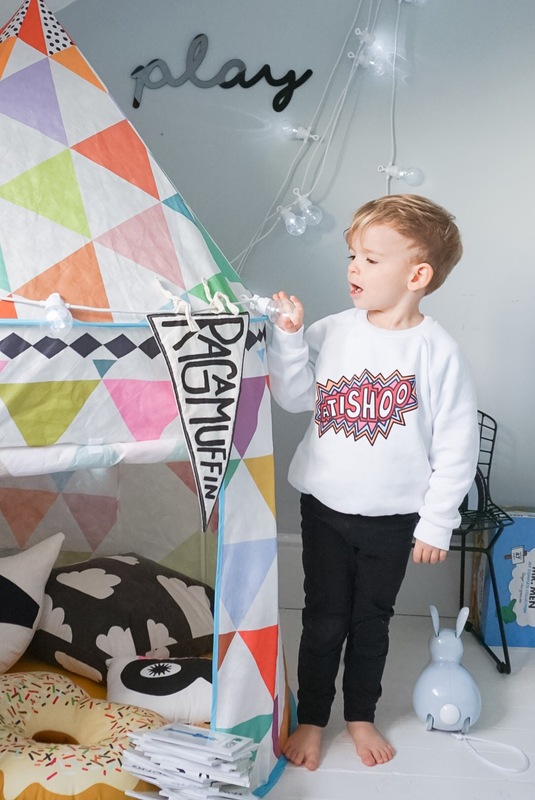 The collection uses some original retro graphics from the Mr Men archives which are screen printed with safe, water based inks which are designed and made in Britain. 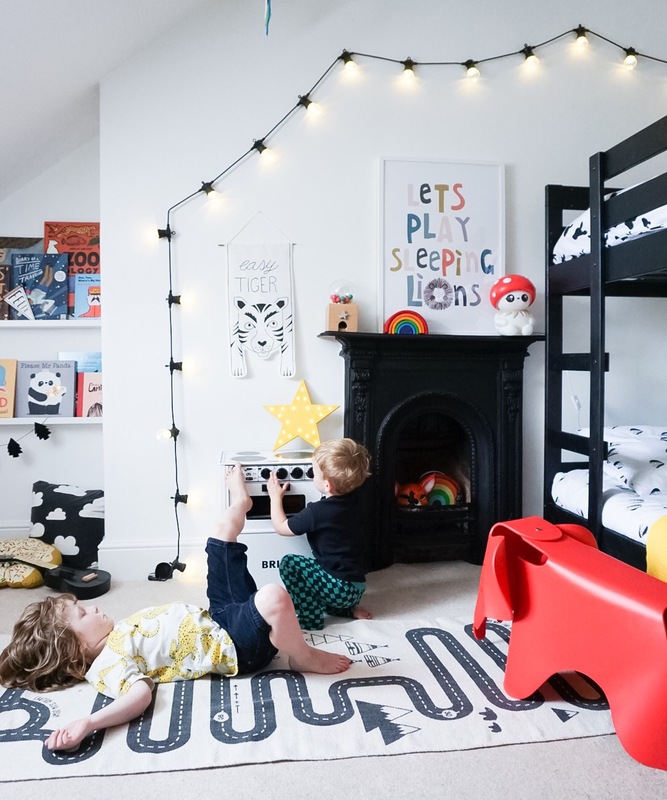 Hurrah for the new Tobias and the Bear collection! As you can see, Barney was very happy to get his super soft snuggly sweater on. 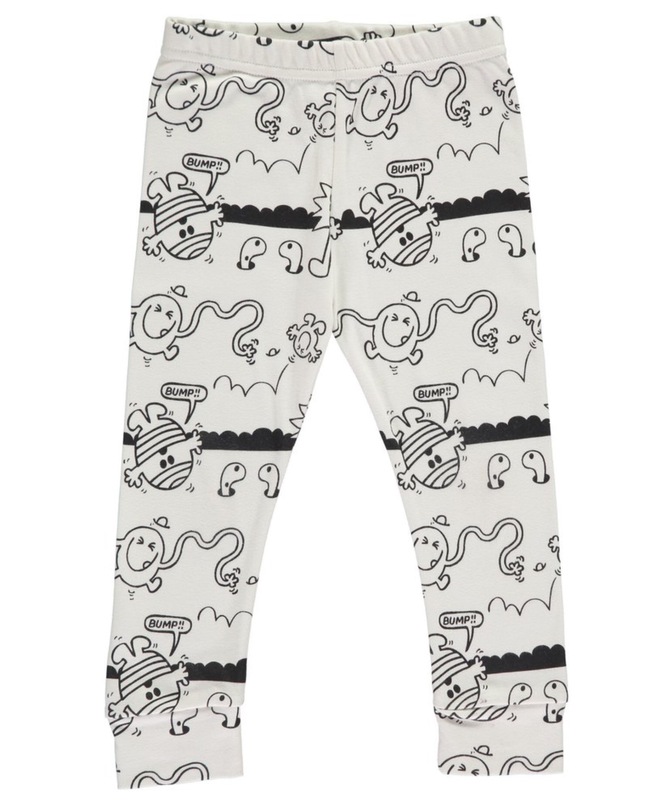 We love the whole collection which is filled with splashes of colour, and gentle monochrome styles with comic book strip style outlines of the Mr Men. 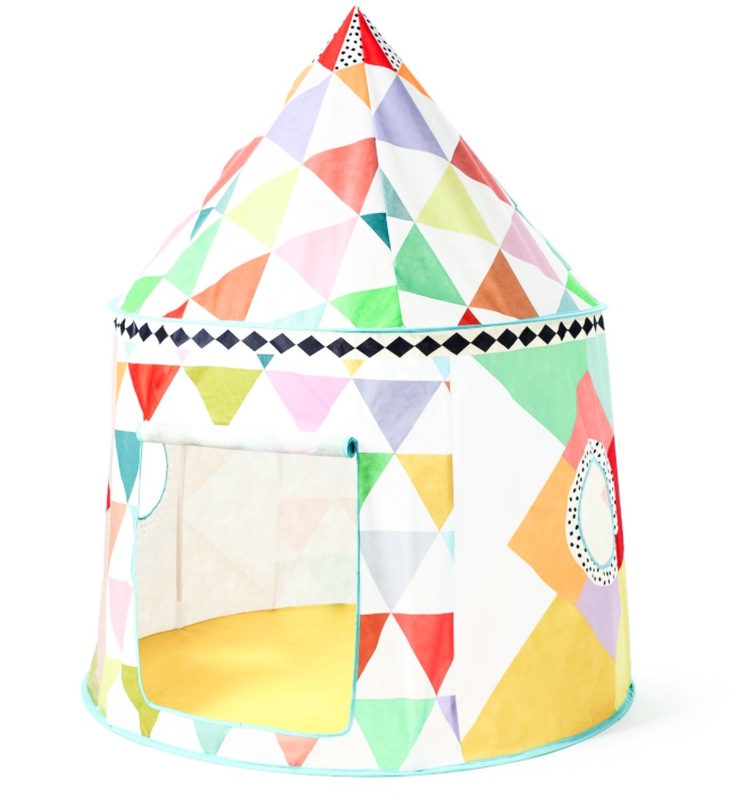 We have also been building dens at home, with our colourful play tent from Djeco and have adopted a pet called ‘Billy the Bunny’! 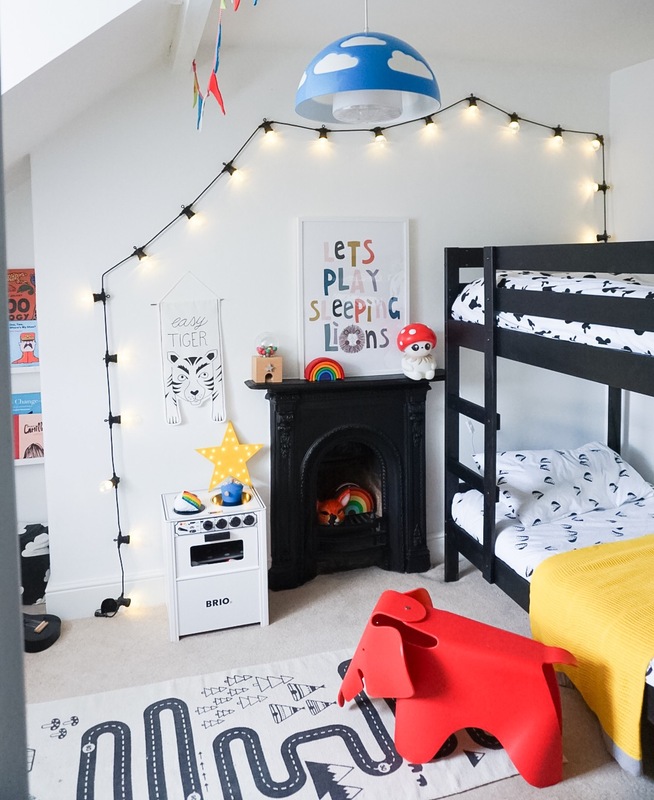 Easy to put up ( just a few simple plastic poles) and easy to put away, we plugged in some festoon lights and threw our cushion collection in and voila! 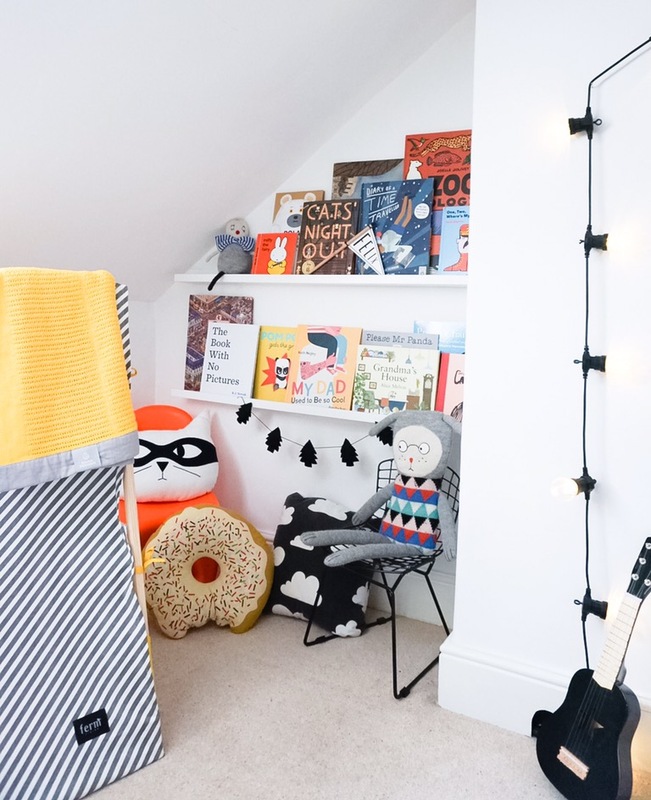 a fun little place to read books, snuggle down or play make believe. 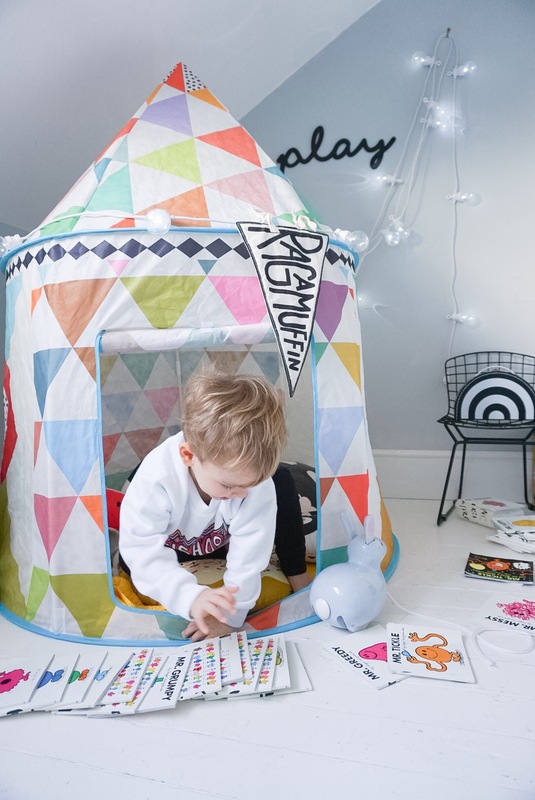 At £49.99 it’s great value for an easy to store play tent. A little hideaway by Djeco. Pull and hop bunny comes from bobbyrabbit.co.uk and is £35. 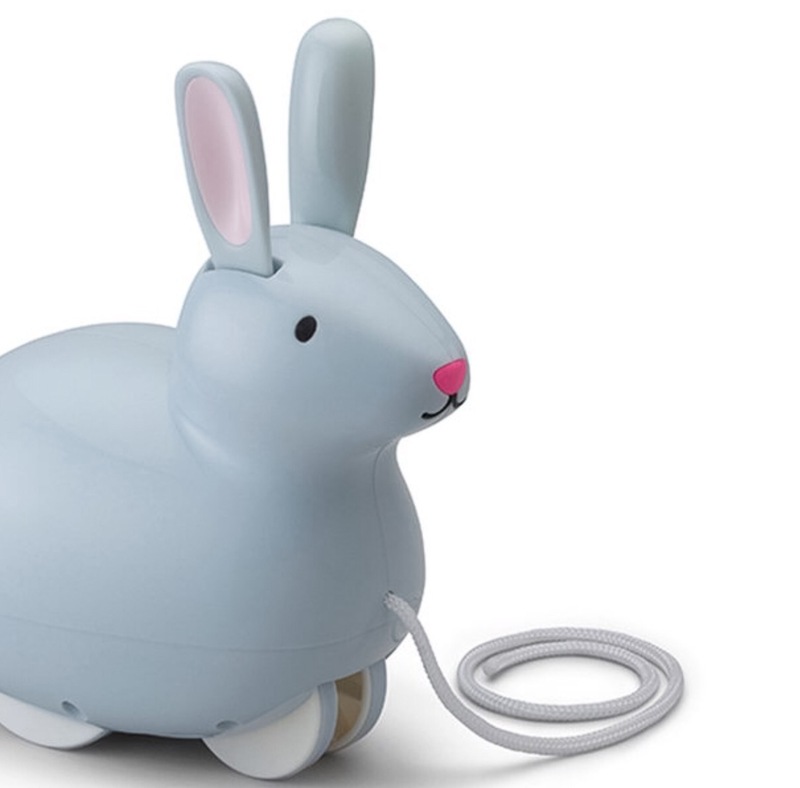 He hops along and has been very popular with Barney. 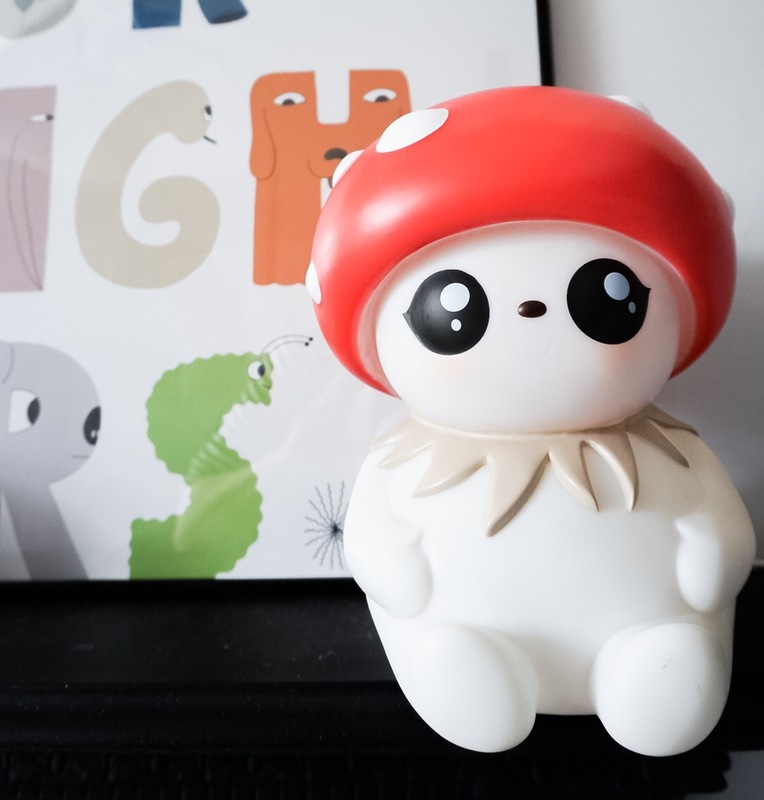 He’s by KidO and is a very maintenance free pet! 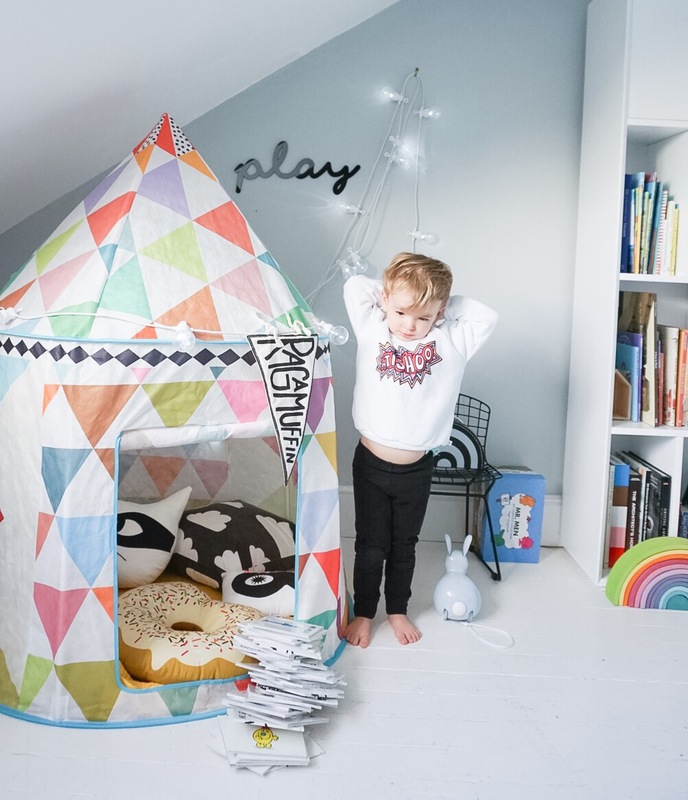 Rainbow by Grimms toys, Bunny toy from Bobby Rabbit, tent by Djeco, Sweatshirt by Tobias and the Bear, leggings by Mingo Kids, ‘Play’ sign by La La Loves Decor, Ragamuffin pennant by Roxy Marj. 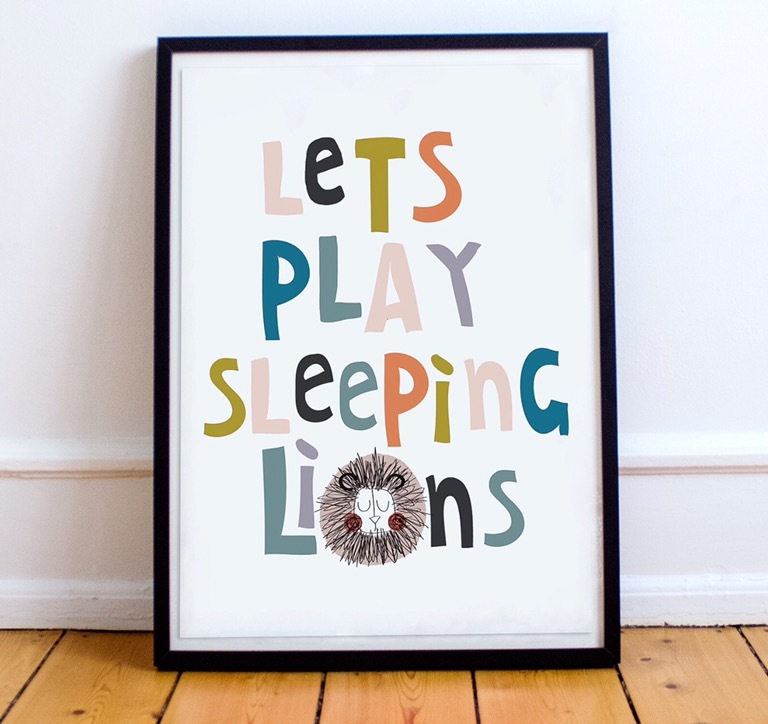 Nikki of Bobby Rabbit has, for the last year, turned her passion for all things kids-design into an appealing and stylish online shop full of many of the beautiful and unique things that Nikki had been discovering along the way. 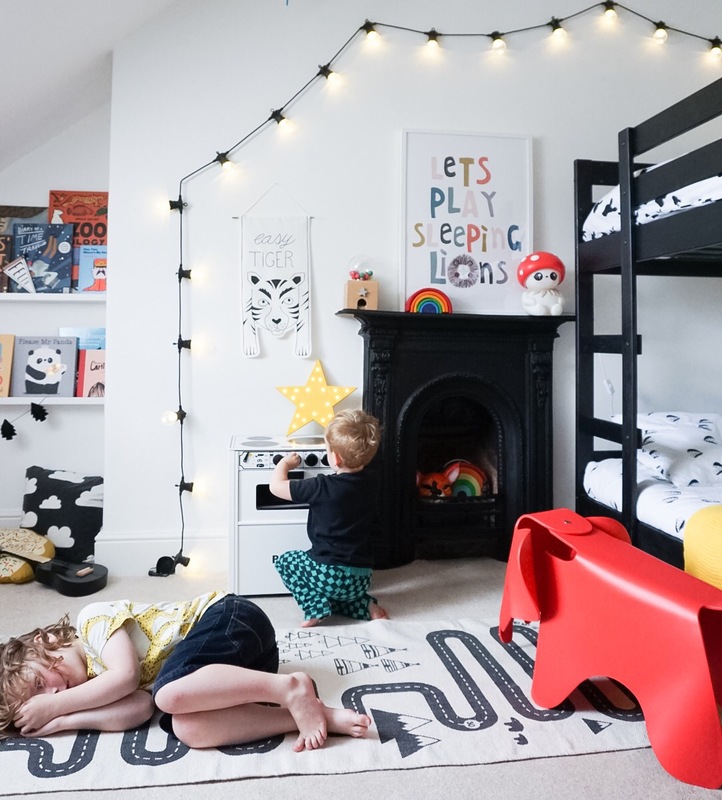 We are big fans of the Bobby Rabbit shop and have been pulling together a gift guide below with some of our favourite treasures, many of which we are lucky to have in our own home. 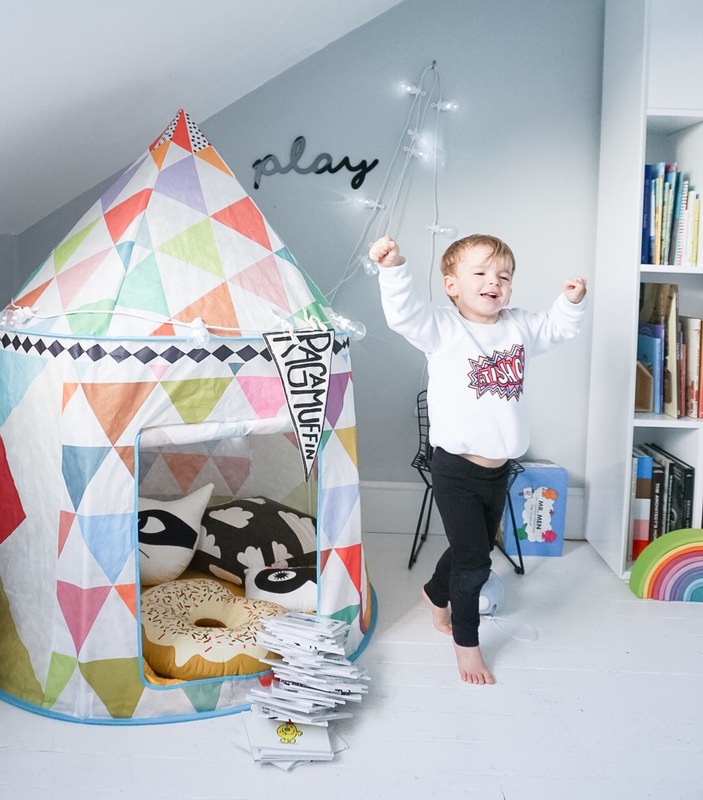 One of Bobby Rabbit’s bestselling brands are the incredible Playforever cars. These art toys are one of my personal favorites and we have some squirreled away for my Son’s birthday which is coming up. The quality, workmanship and size makes them something to play with, but also to treasure forever. They also make a perfect gift for any vehicle loving child (or grown-up!). They are designed in the U.K and of the most exceptional quality. 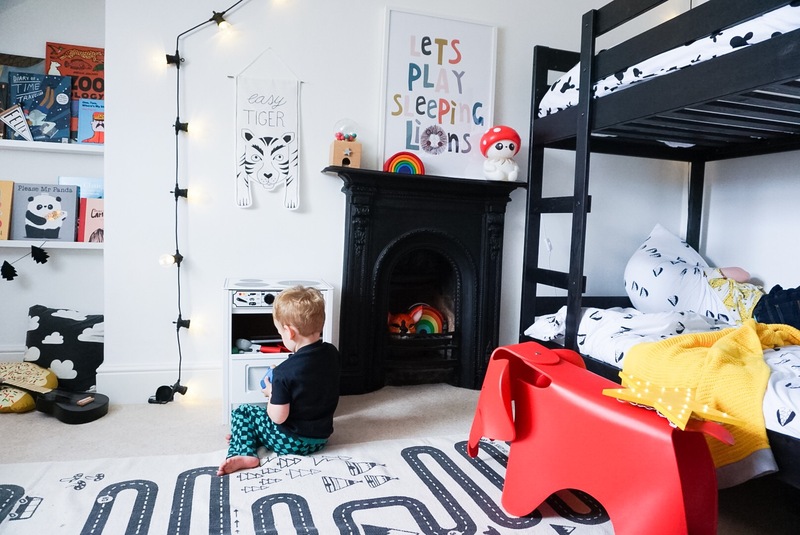 OYOY Playmat £39, Playforever vehicles from £25,Dinosaurs from £8, crochet fox £30, tugboat £15, rainbow case £10, CARS storage sack £10, blocks £25 and print £15. 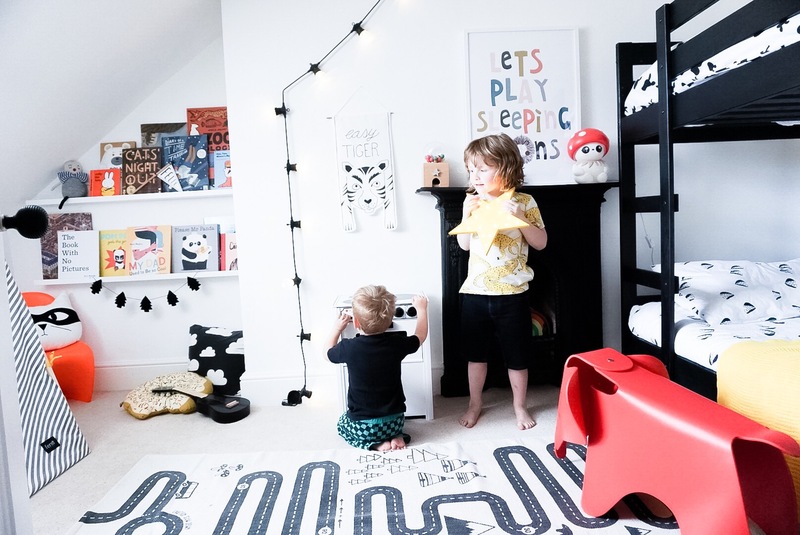 Bobby Rabbit has a fantastic mix of quality interior decor, toys and gifts, all carefully considered and lovingly curated. Nikki takes such care in sourcing her stock, and one of the lovely little items she sells is the sleepy bunny. They are available in a soft pink or in grey and are £22. They are extra special because they are lovingly created in Turkey by a community of mothers- women who live in the outskirts of Istanbul and who, in many cases have no other means of making an income for their families. These bunnies are made from the softest organic yarn which is GOTS certified and they are suitable from birth. 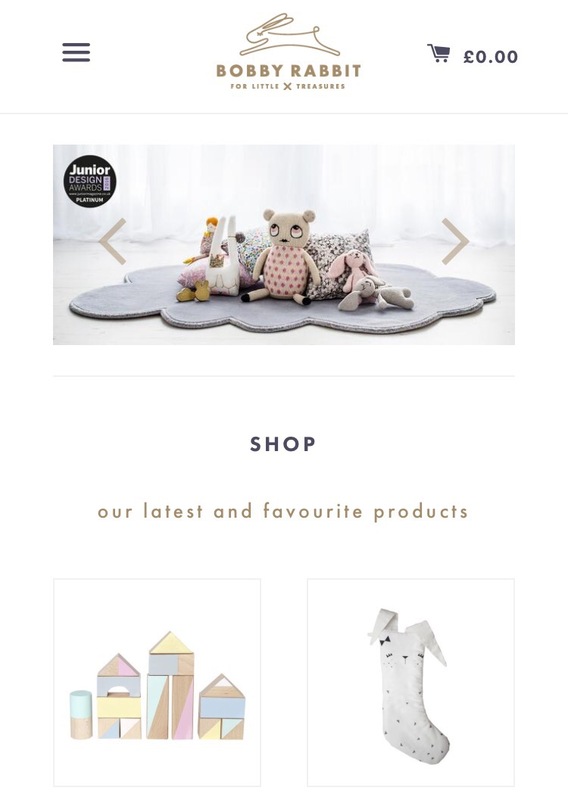 There’s our sleepy bunny at home and our Bunny Princess by Bunniclub also from Bobby Rabbit.